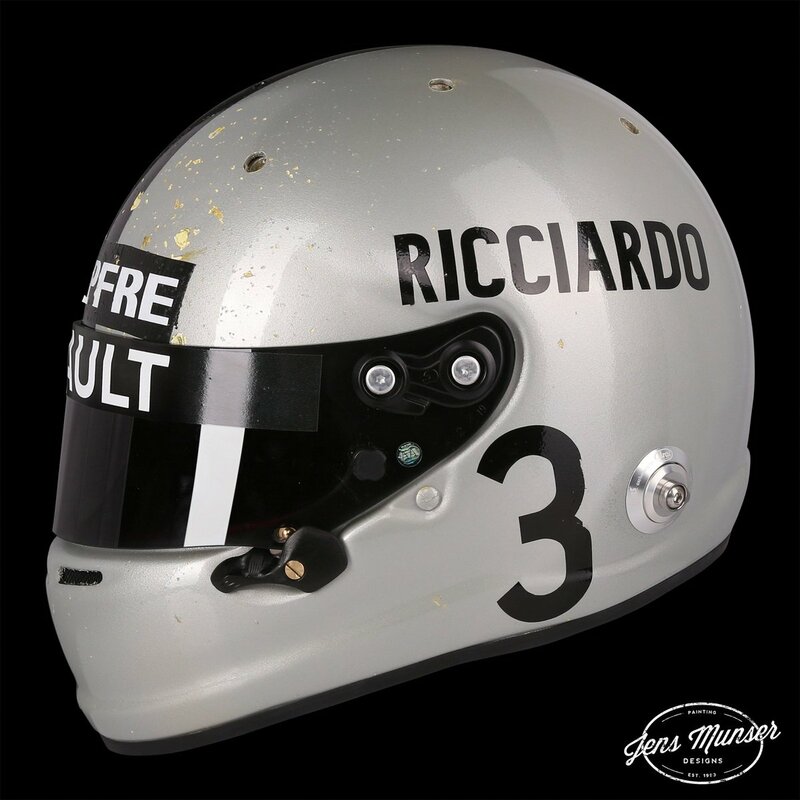 GPWizard F1 Forum - Special 'one off' helmets for the 1000th Grand Prix. Special 'one off' helmets for the 1000th Grand Prix. So, obviously for the 1000th race a lot of drivers (if not all?) will be running special lids for this Grand Prix. Russell has a weird hybrid of his and his brother's, Grosjean has a white one. 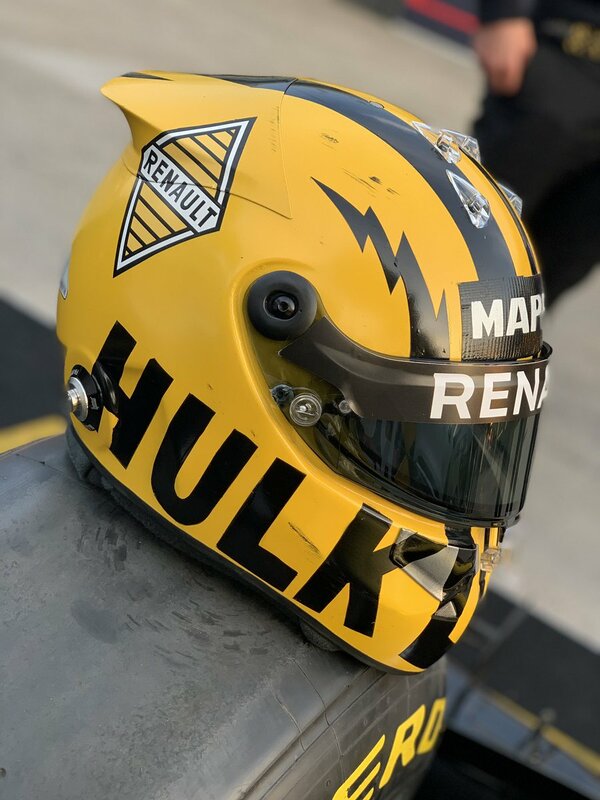 My current favourites though are the Renault duo who have some retro style helmets complete with fake gaffer tape stickers and chipped paintwork! Re: Special 'one off' helmets for the 1000th Grand Prix. Love the 'chipped paint' and 'scuff marks'. So, being a "one off" ... where is Max's "I am a mature gentlemen" helmet?? See!! ... I didn't touch Williams on this occasion!! I recognized Danny's right off. It's based on his fellow Aussie Jack Brabham. Well done! Wow! Totally missed that. Nice catch. It does make you yearn for the days of simpler helmet designs without the flicks, go fast stripes and other stuff. Same here, I love the authenticity as well. Clear helmets with clear names, numbers and basic graphics - let's go back to those days. Let's face it, these days, helmets are an explosion in a paint factory with special effects, textures and mirrored paint elements, all of which, you can't make out from 10 feet or beyond!!! Even in the 90's ... you could easily identify with driver helmets such as Damon Hill or David Coulthard, to name two!